I was super honored to be chosen as one of the 25 Bloggers to compete in the 2014 Saucy Mama Recipe Contest by Barhyte Specialty Foods. The only recipe contests I have ever entered were local so this was super exciting. 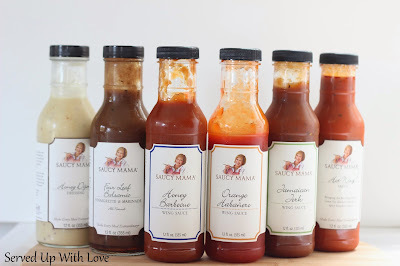 I had never tried Saucy Mama sauces and I couldn't wait for them to get delivered. When they finally arrived my son and I opened them up and started tasting each one to see which one to use for the contest. I immediately picked out my favorites and started brainstorming. The Grand Champion will be headed to the 2014 World Food Championships in Las Vegas to represent Saucy Mama. Naturally, I was drawn to the sandwich category. Who doesn't love a good sandwich? We were sent six Saucy Mama sauces to use for the contest. Each one of these sauces were great and it was really hard to pick the one to use for the contest. Just a normal barbecue chicken sandwich just wasn't going to cut it for this competition. It needed something spectacular to bring it over the top. That is when I decided to add Bacon Jam. Yep, you read that right! 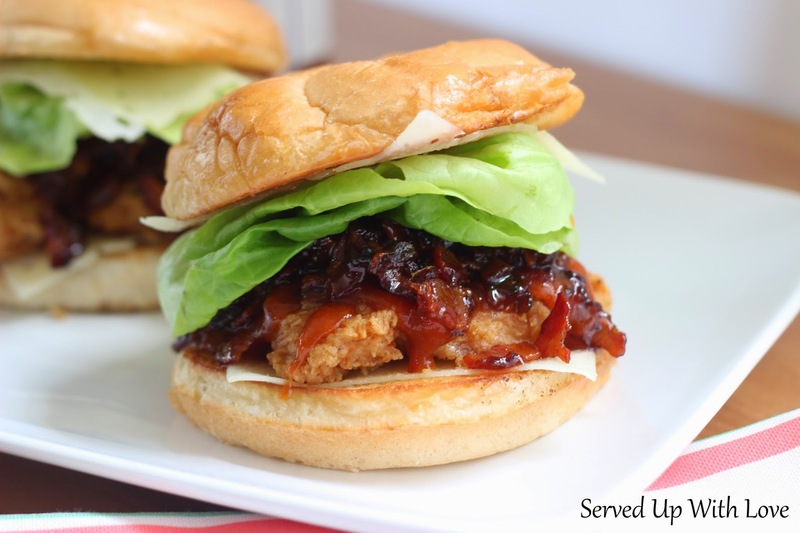 Bacon Jam consists of caramelized onions, chopped bacon, honey, and thyme. I was originally worried that this sandwich would be too sweet. 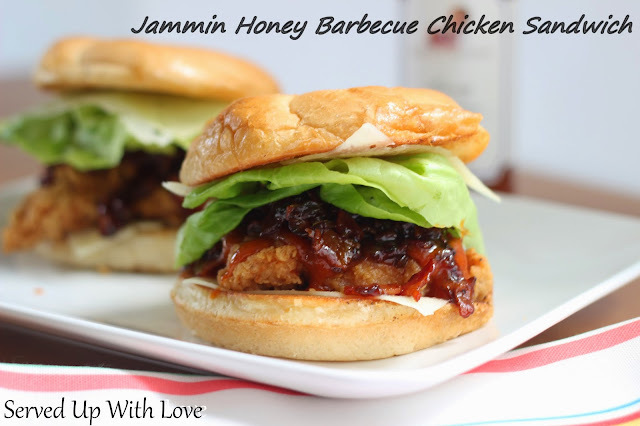 Saucy Mama's Honey Barbecue Sauce has a little kick to it and the sweetness of this bacon jam added just the right touch. Place the vegetable oil in a cast iron skillet or frying pan. The oil should come up about half way in the pan, about an inch or so. The exact amount of oil depends on the size of your pan. Heat the oil to 350 degrees. *Chicken can be oven baked or grilled if you prefer. Combine the flour, salt, pepper, and corn starch. Place in a dish for dredging the chicken. Place the egg in the dish. Dip the chicken breast in the egg mixture and then into the flour mixture. Shake off any excess flour mixture before placing in the skillet. Do not crowd the pan. Cook in batches until done. Turning the chicken as it browns. Place the chicken on a wire rack over a sheet pan and place in the oven on the warm setting until you are ready to assemble. Meanwhile, to make the bacon jam, place the bacon in a skillet and saute until done, but not too crispy. Remove from the pan and add the onions in the bacon grease. Cook the onions until translucent. Drain the bacon grease from the pan and add back in the bacon with the onions. Add the honey and thyme and heat until combined.